Last week, the “Fundling wheel” became part of the permanent exhibition in La Quadreria of ASP Città di Bologna. The event of inauguration was in the framework of the campaign “Bologna with open arms”, promoted by ASP, the municipality of Bologna, together with Open Group and AMISS. In fact, the authorities who participated underlined the meaning of this historical object, whose exposition tells the story of the past and present of foster care. 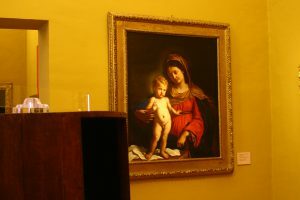 The melody of Antonello Manzo’s cello and Maddalena Pasini’s voice, in the moving performance “No name, no family” by Teatro del Pratello, opened the celebration. The great participation of the public showed Bologna’s the sensitivity about the topic and, obviously, the interest for our historical and artistic heritage. 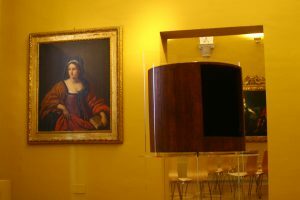 The “wheel” is now located in the seventh room, the room of “Guercino’s relatives”, and a bilingual explanatory panel describes its origins and function.